NEXCOPY 16 Port Standalone CF Duplicator (CF115SA) [CF115SA] - $2,399.00 : Disk-O-Tape, Inc.
Nexcopy manufactures performance-driven standalone CF duplicators which are second to none. With lightning fast transfer speeds and simple one-button operation, the CF115SA is unparalleled in price, performance and aesthetics. The CF115SA standalone CF duplicator is compact in design, ergonomically friendly and very easy to use. Don’t let the good looks fool you, the CF115SA is a power house duplicator with peak transfer speeds over 1800MBs per minute*, per port. The CF115SA is an 16 socket device with one Master SD port and 15 target CF ports. The system is loaded with features which include asynchronous CF duplication for masters up to 256MBs in size and intelligent copy function to only duplicate the content of a master device. 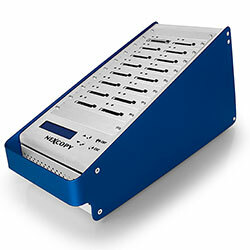 The Nexcopy standalone CF duplicator will automatically begin duplication upon connection of all ports, or immediately begin single device copies when the master is less than 256MBs. The asynchronous feature will keep any duplicator production station busy for hours with uninterrupted work flow. Performance. The Nexcopy standalone CF duplicators are performance driven. With ultra fast copy speeds which surpass USB 3.0 technology, the Nexcopy systems are cost-effective solutions which allow you to get more done in less time. Ease-of-Use. Not only is the CF115SA a beautiful product, it is ergonomically designed and inviting to use. 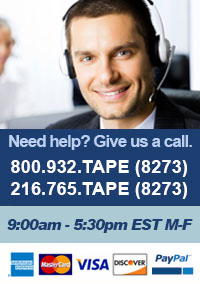 Non-technical personnel can power On up the system and begin duplicating in under 20 seconds. With immediate ID of CF cards, auto-start duplication and asynchronous copy abilities this single button duplicator is a dream to operate. Durability. The CF115SA is like all other Nexcopy products, well designed, durable and made for 24/7 operation. The sturdy aluminum body, large LCD display and “nice feel” tactile buttons make it a pleasure to run duplication jobs. The standalone CF duplicator does not require cool-down periods and will duplicate non-stop and without fail for all your production needs.